We have recently deployed AFS for testing. So far it seems to be fairly stable and performs the basic file sharing functionality as expected. I am wondering if anyone has come up with a solution for file access auditing? For our research and discusion we have been told there is no native auditing. Also, what solutions exsits to manage file locks on shared files? We comonely have users leave for vacation and acidently leave a shared file open, users on vpn etc. dlink7 do you have anything you can share here? Subscribing as I am interested in AFS file auditing as well. Thanks. Hi is there an answer for the question. Really looking for an answer on file locking. More related to showing locked files vs locking files. I know SMB does opportunistic locking. AFS does not have native audit tool for access tracking. Nutanix made APIs available to third-party vendors to develop an external tool for this purpose like Varonis e Stealtbits. 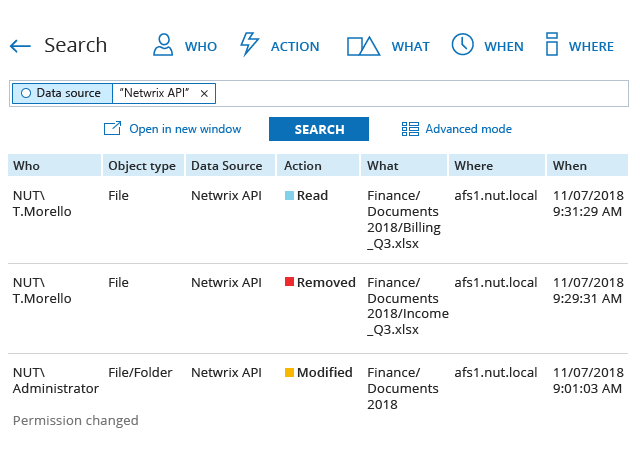 You can launch fsmgmt.msc and connect to the Nutanix Files server. I am wondering if anyone has come up with a solution for file access auditing?